Several months back, around the holidays this past winter, I purchased two sets of nail polish that I saw had been put out by Stila, the popular cosmetics company. The polishes looked very pretty and sparkly, and there was a sale at the time if you bought both sets of 4-minis, so I decided to go for it. I was recently asked by a friend if I could swatch them, so that is what I am sharing with you today. The two sets are called "Daring" and "Delicate". 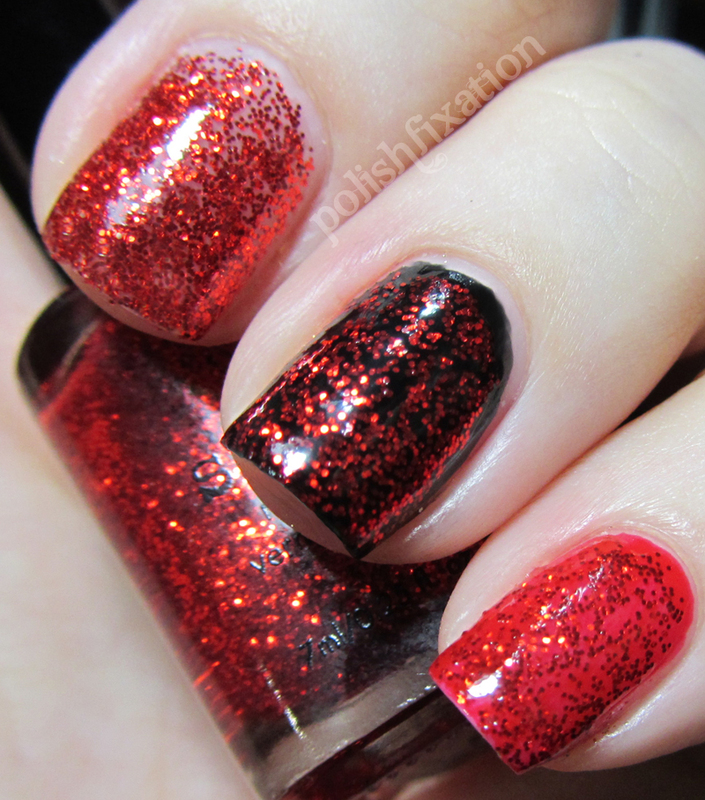 Overall I think these are decent polishes. I do find it odd that out of 8, only one (Kitten) is a stand-alone polish. The rest definitely benefit from layering depending on the look you are trying to achieve. These are still available on the stila website for $14.00 per set of 4. What do you think of these glitters? Did you pick them up when they came out? I think they're all really pretty! I think my favorite is the second set for sure. Really pretty but it sure is odd that there's only one stand alone. 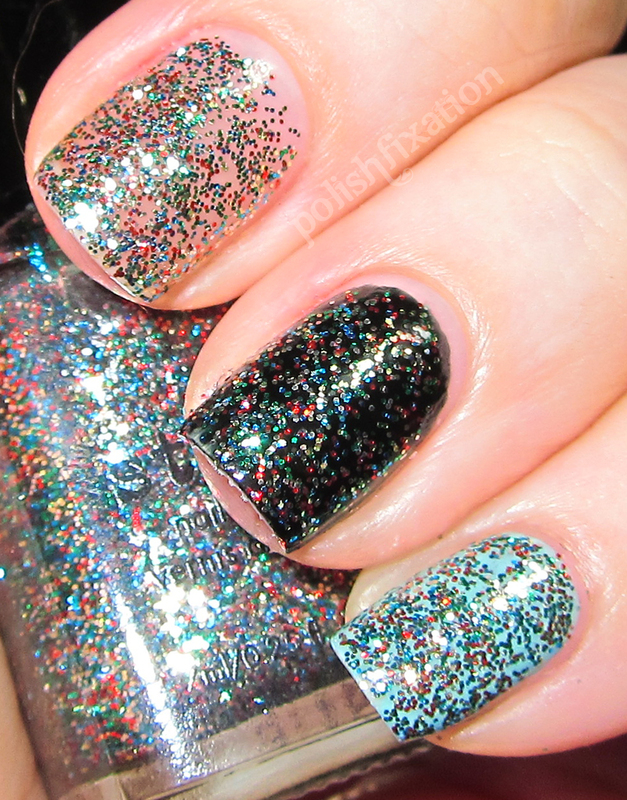 I love Stardust over black! I like Icicle and Chandelier! I had no idea these existed! I love Chandelier over black, and I do like the concept of City Lights. I really like these, thanks for the swatches!